A former pupil at Farsley Farfield Primary said she was concerned over the message that it was okay ‘to exploit and kill animals with the only justification being that people enjoy eating their bodies’. A primary school which keeps pigs to teach children about food provenance is fighting a petition from an animal rights campaigner who has accused the headteacher of ’animal exploitation’. 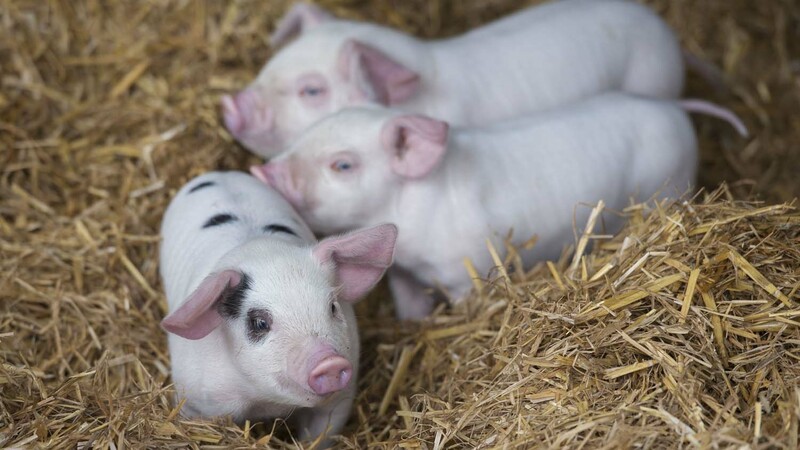 Farsley Farfield Primary School set up the project in October 2018 with Gloucester Old Spot pigs which they will keep for nine months before sending to slaughter. Isabella DeMartino, a former pupil at Farsley Farfield Primary and whose mother works at the school, said the pigs did not ‘deserve to die’ and that she was concerned over the message that it was okay ‘to exploit and kill animals with the only justification being that people enjoy eating their bodies’. Her online petition has got almost 2,000 signatures. She said: “Schools have a duty of care to support children, teach them fair values and to provide a safe and happy environment for them. The school’s headteacher Peter Harris hit back at the remarks, suggesting the pigs would encourage the children to learn about animal welfare and sustainability, and to have a ‘much better understanding of where their food comes from’. The National Pig Association (NPA) said it commended the school for wanting to teach children where their food comes from, adding a first-hand experience of food production would enable them to decide if they did not want to eat meat ‘rather than after reading factually incorrect and misleading vegan propaganda’. It came as a Meat Free Monday poster being circulated in London schools was spreading figures that livestock was responsible for 51 per cent of global greenhouse gas emissions – compared to 13 per cent from transport – and that a falafel pitta had only 0.3kg of carbon emissions compared to 2.8kg from a cheeseburger.